Ojibway Tent & Trailer Park, Home of Laughing Water Beach, was originally set aside for the women and children of Garden River First Nation to gather traditional medicines during the early 1950s. By 1962, Ojibway Park was opened to the general public and promoted as a family gathering place to enjoy the water, shoreline, campgrounds and beautiful surrounding trees. Today, Ojibway Park has 85 serviceable sites with water and either 15 amp or 30 amp power. Rough camping is also available. Campsites can be rented by the night, week or for the entire season. 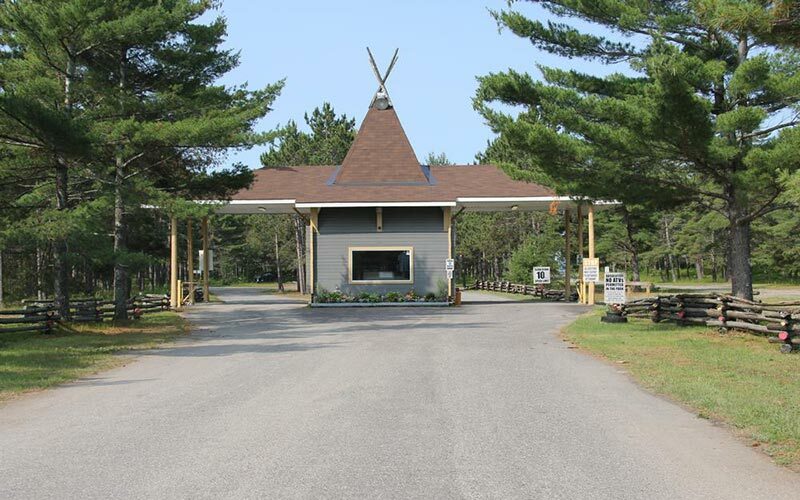 Our park is family friendly campground situated along the shore of Lake George.